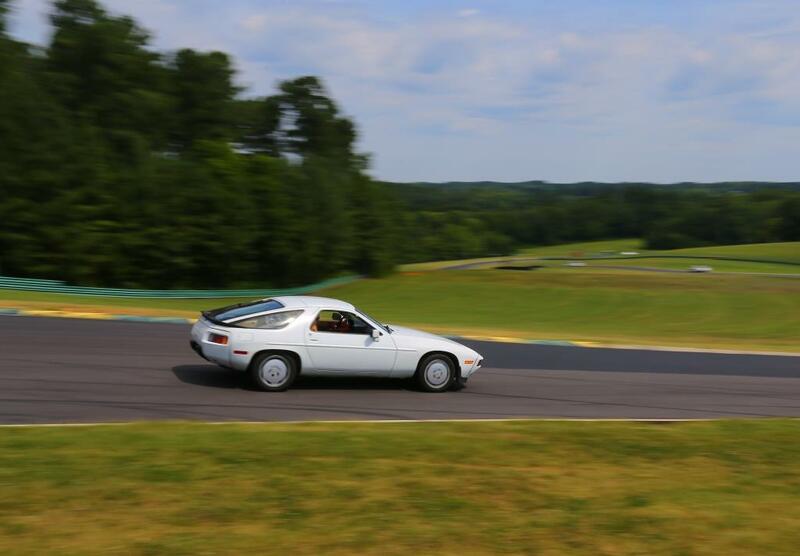 Last weekend I was able to take the Porsche 928 to Virginia International Raceway (VIR) which is fortunately about 1 1/2 hours drive from my house. 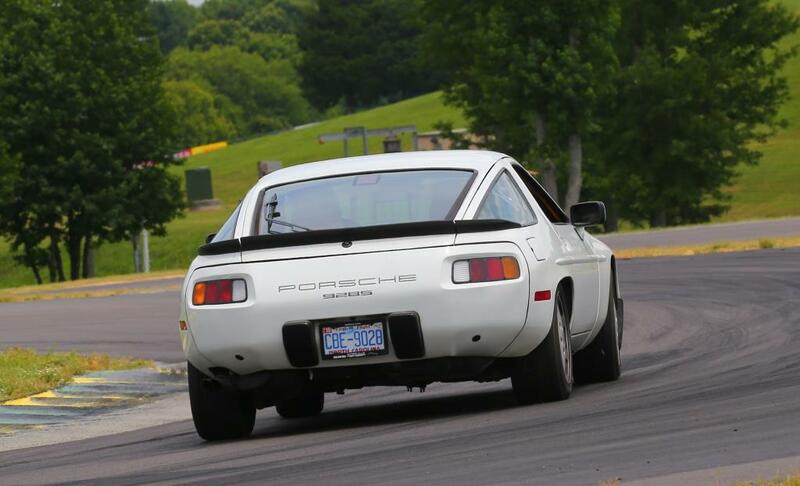 I have been to VIR many times with my Porsche 944 track car and even a few types with the E-Type, but never with the 928 till now. The event was a track day sponsored by Chin Motorsports. 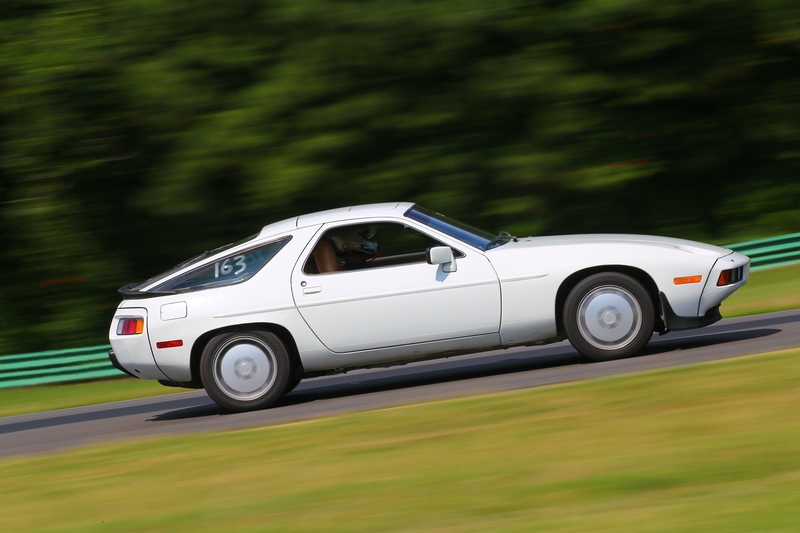 As others have said before, the comfort zone for a 928 is long distance high speed touring. I can only wish that there was somewhere on the east coast where one could actually drive at 3 digit speeds for several hours! 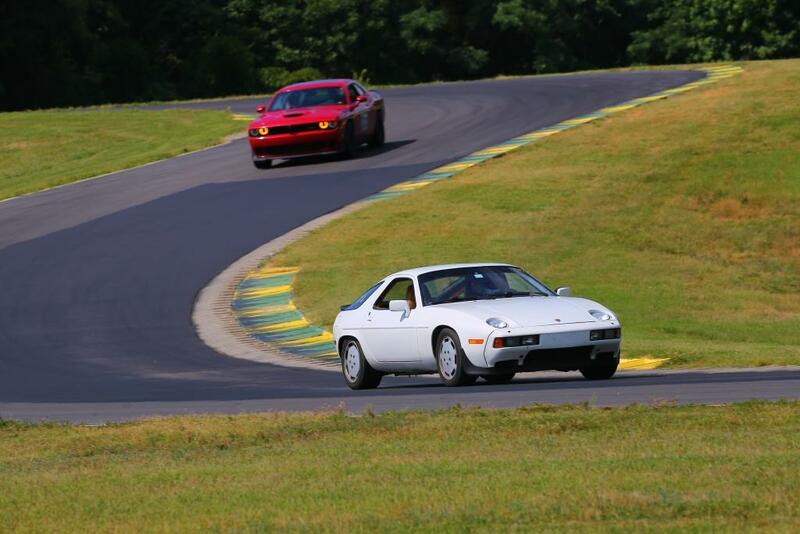 Compared to the 944, the 928 is certainly more “heavy” in a cornering posture. 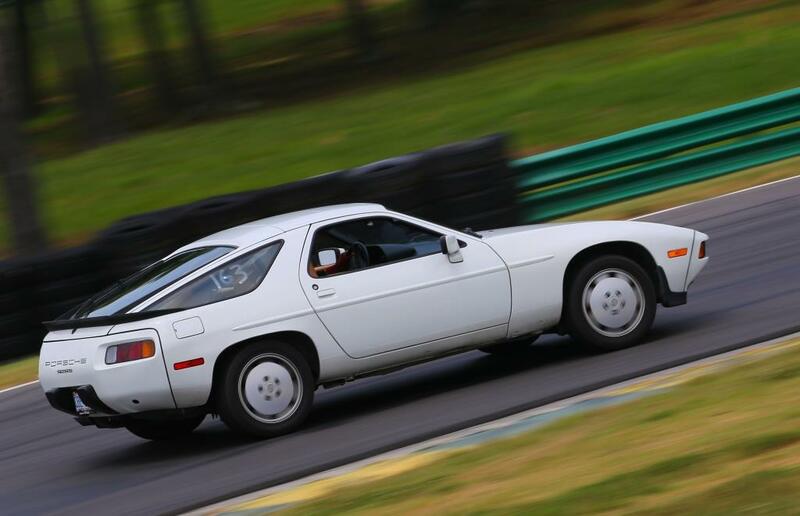 There is of course no comparison in the acceleration characteristics of a 928 to a 944! Tons of grunt!! For the first time in my life at a track event, I was able to stay with the higher horsepower cars coming out of the corners. And the exhaust note was glorious! I was running my stock high performance summer street tires on the car so I gradually eased up on higher cornering speeds. I’m pretty sure I was only running at 7 tenths but the thought of hitting the guardrails served to keep me in check. 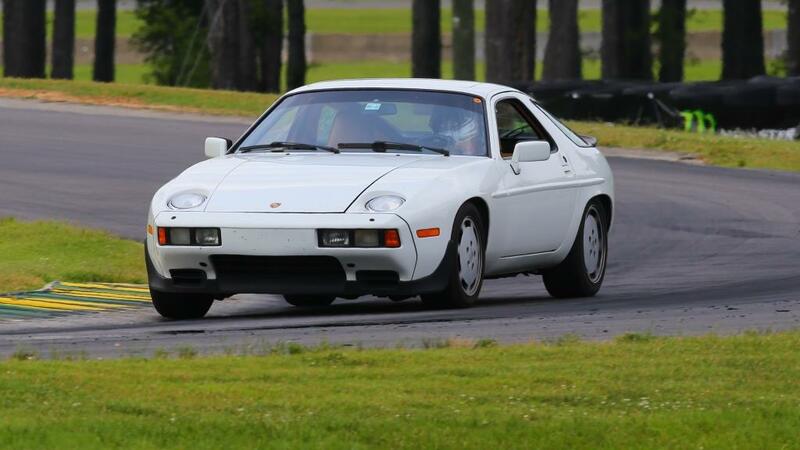 Regardless, I had a wonderful time and thoroughly enjoyed by track day at VIR!! !